Upcountry cash payments should be deposited into the Standard Chartered Bank or the Co-operative Bank of Kenya or Chase Bank of Kenya. Bank deposit slips should be completed in duplicate: the top copy is kept by the bank; the second copy should be kept by the student. B. Credit/ Debit Cards: We also accept payments by Credit/Debit cards — local and international. 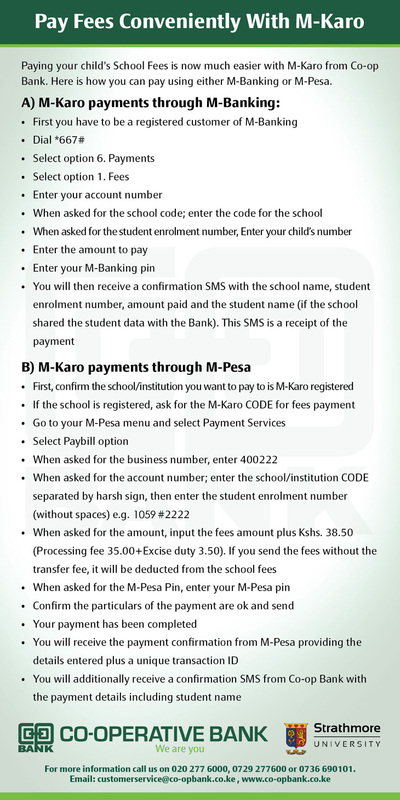 However, all payments attract a 3% levy on the total amount payable. C. No cash fees, money orders, postal orders, personal cheques, company cheques or upcountry cheques will be accepted in the University. D. Bankers’ cheques can be receipted directly by the University Cashier. 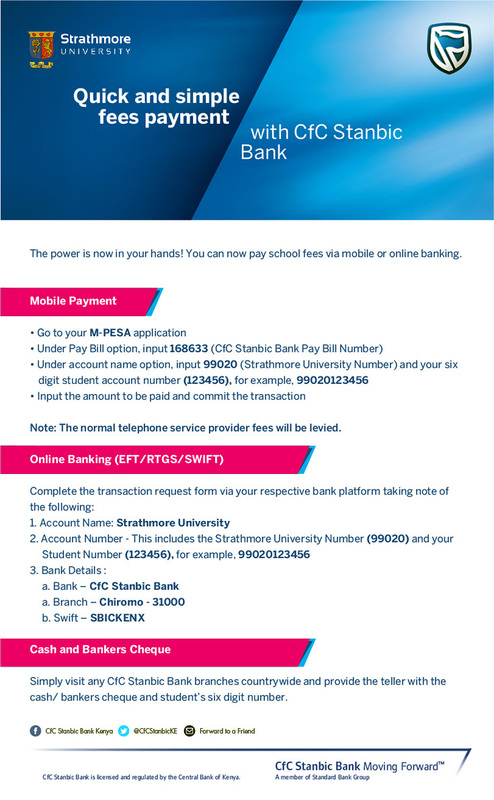 However, upcountry banker’s cheques will be receipted by the University cashier on further payment of Kshs 200, being bank charges levied by our bankers.